The surfing community in New York is full of so many talented, smart, and savvy entrepreneurs so we were excited to talk to Emily Harrison of the BROOKLYN BEACH, a brand born out of the necessity and a love of craftsmanship. We love the brands beachy roots and desire to produce products that are not only unique but also top-quality. What inspired you to start BROOKLYN BEACH? 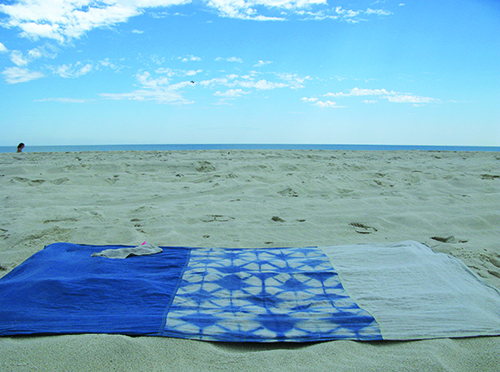 First there was the linen beach blanket. After I made one for some good friends as a gift who also love the beach, they encouraged me to make more to sell. The business really grew out of that product. 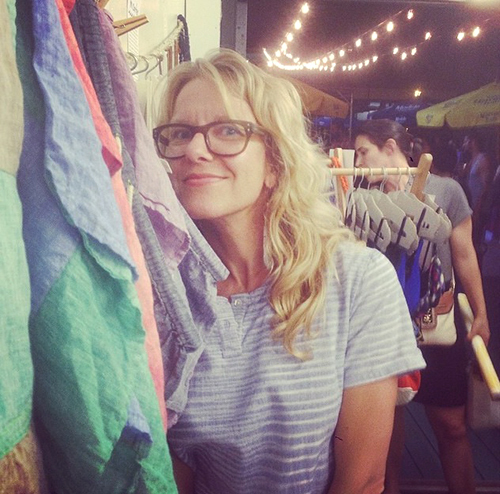 A year later my friend Marie and I made the Brooklyn Beach Hair salt spray, and its debut sale was at the first Brooklyn Surf Flea alongside my blankets. It was really well received so we decided to keep making it, and it’s really become a well-loved hair product! Anything else we make for beauty or I make with accessories will always reflect a beach, holiday, or fun summery aesthetic so there’s always a connection with the various products. I have ideas all the time, I just never had a platform to actually create them! Brooklyn Beach is simply unique products I like, and I hope others will too. There’s a lot of things out there to buy in the world, and if it feels redundant, I’d like to stay shy away from that. What’s the best thing about being a small business in New York? The best thing is probably the amazing resources we have in the city to make anything you want to create. Also the teams of stores at your disposal to help sell your products. Its inspiring to have so many other creative types owning small businesses that we can meet and talk and share ideas. It’s been eye opening just owning a business, but also the support locally, especially from like-minded women, is pretty great. What do you have in the works next for your brand? Marie and I are going to expand our Beach Hair line with more scents, and perhaps other various products for hair and body. I love the linen I work with and would hope to make more clothing perhaps (I just came out with some little shorts). And/or useful times for the home, like custom tie-dyed linen curtains. Thank you so much Emily for talking with us. Please check out BROOKLYN BEACH to shop.